In a clash between last season's 3rd and 4th placed teams to be held at Wembley, there will be much at stake for both the managers. Tottenham would look to come back to winning ways after their defeat to Watford while Liverpool will hope to maintain their so far perfect league run. Mauricio Pochettino has some headaches with team selection as both Dele Alli and Hugo Lloris are out injured. 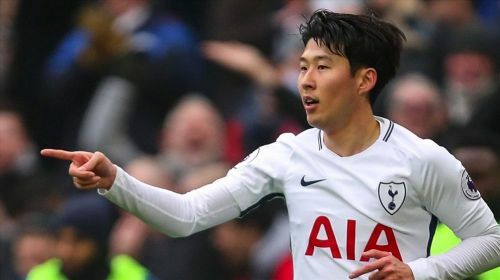 Son Heung-min's timely return couldn't have come at a better time for the Spurs as he returns from International duty. Lucas Moura had stepped up in the absence of Son and managed to bag the PL Player of the Month for August. Liverpool, who are yet to drop a point this season have all important players fit and the attacking line looks as sharp as ever. All three Salah, Firmino and Mane have picked up from where they left last season. Spurs had started the season well before losing to Watford prior to the International break. Spurs fans will be happy to know that Harry Kane has a solid scoring record against Liverpool, getting five goals in the last seven meetings between the two clubs and assisting two. 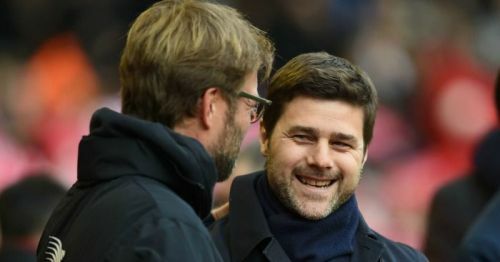 Last season, Pochettino went with a 3-5-2 formation against Liverpool and Tottenham surprised the visitors with two goals in the first 12 minutes. Here's a look at how they can line up on Saturday. Defence - Michel Vorm (GK), Toby Alderweirald, Davinson Sanchez, Jan Vertonghen. Midfield - Mousa Dembele, Eriksen, Harry Winks, Danny Rose, Keiran Trippier. Attack - Harry Kane, Son Heung-Min / Lucas Moura. Last season's success against Liverpool could tempt Pochettino to repeat the same adventure. Toby Alderweireld, Davinson Sanchez and Jan Vertonghen can line up together though they haven't played many games together this season. Michel Vorm will be the obvious replacement for Lloris. A hard-working midfield of Dembele, Eriksen, and Winks could prevent Liverpool getting a hold in the centre of the pitch. Danny Rose and Trippier would be the obvious choice on the wings with Harry Kane along with Son or Moura taking the attacking responsibilities. Both Rose and Trippier are an important part of this formation as they would be tasked to keep Mane and Salah in control.